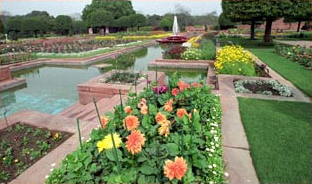 The Mughal gardens are open to the public in the month of February-March every year and specific dates, times are announced every year. Visitors are allowed entry to the garden on all days except Mondays. 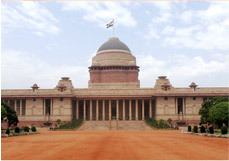 The gardens may remain closed on other days also in case of a function in the Mughal gardens or during the visit of a VVIP during the said period. The dates are made known to the public through various media. The entry and exit into the gardens is regulated from Gate No. 35 of the President's Estate, which is located near the North Avenue, at the western end of the Church Road.